"We need to do more transformational research at DOE . including computer design tools for commercial and residential buildings that enable reductions in energy consumption of up to 80 percent with investments that will pay for themselves in less than 10 years." Commercial and residential buildings consume more than 40% of total energy usage, greater than either the transportation or the industrial sector, and this proportion is expected to increase. Buildings contribute 45% of the greenhouse gas emissions linked to global climate change. A 10% reduction in U.S. building energy consumption saves about the same amount of energy as is currently deployed from renewable resources. A 50% reduction in U.S. building energy consumption would be equivalent to taking every passenger vehicle and small truck in the United States off the road. A 70% reduction in U.S. building energy consumption is equivalent to eliminating the entire energy consumption of the United States transportation sector. The behavior of the overall system is difficult to predict from the behavior of individual components. Moreover, the overall system behavior often evolves along qualitatively different pathways that display great sensitivity to small perturbations at several stages. In addition, the built system is highly uncertain and subject to constant disturbances. The mathematical and computational challenges that arise are daunting and include model reduction; estimation of random parameters; uncertainty management; and control, optimization, and design of multi-scale and random interconnected dynamic systems. The interdisciplinary workshop at the IMA has the goals of presenting the state of the art in this area and providing participants with the opportunity to share ideas, foster collaboration, and gain a deeper understanding of the problems and challenges of managing and architecting energy-efficient buildings and the progress made so far. 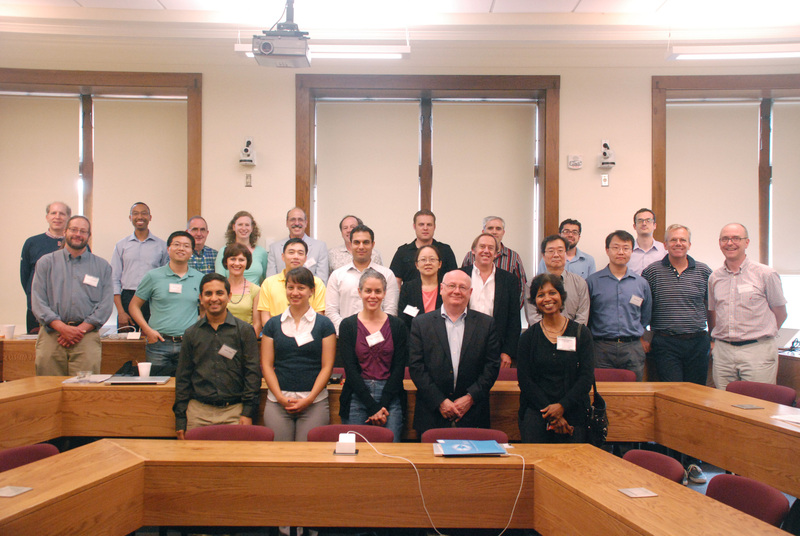 The intended audience consists of mathematicians, scientists, and engineers interested in the latest developments and challenges in the mathematical and computational sciences for design, optimization, and control of energy-efficient buildings. We expect to have a combination of both tutorial talks and research talks from practitioners of diverse disciplines from industry, government, and academia. Zhen Song Department of Automation Engineering and Runtime Technology Siemens Corporate Research, Inc.